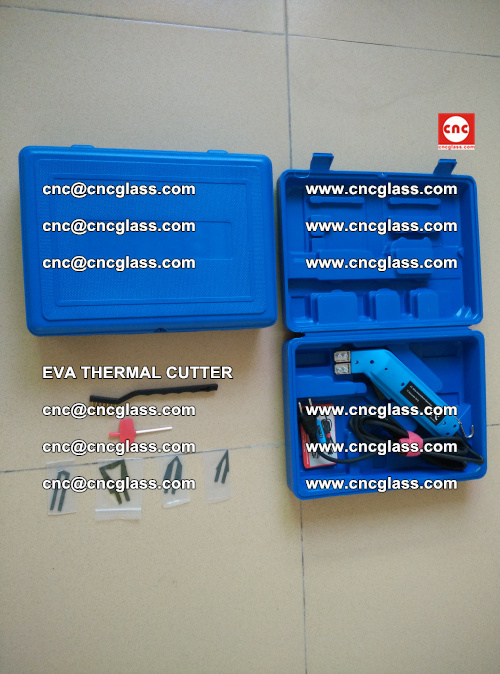 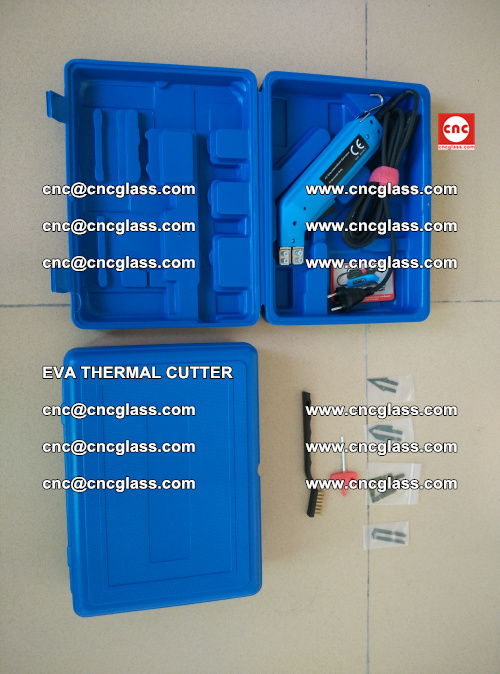 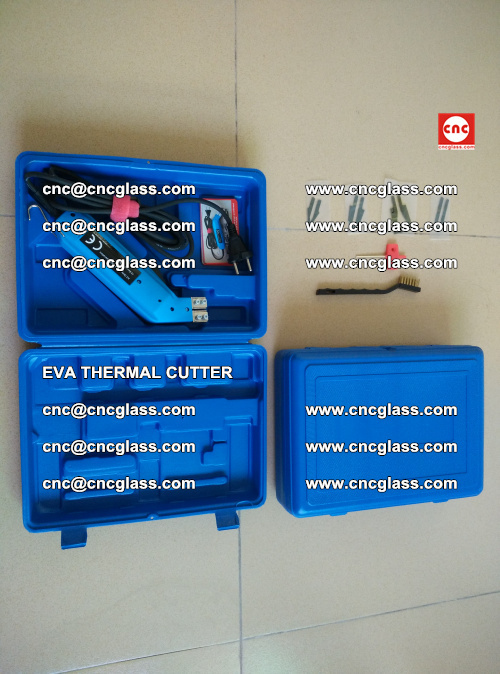 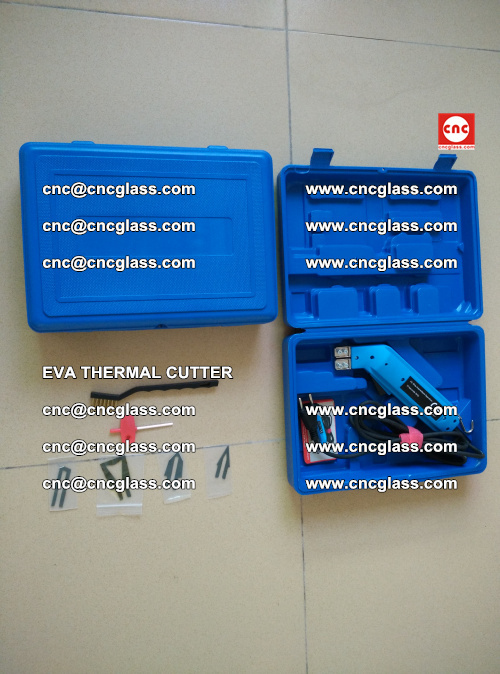 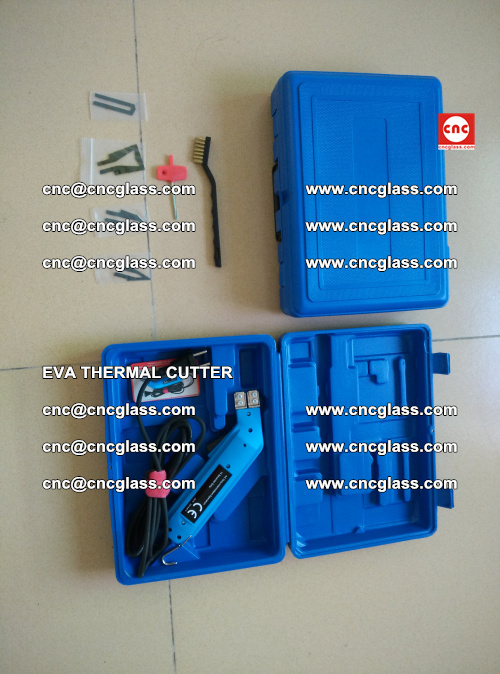 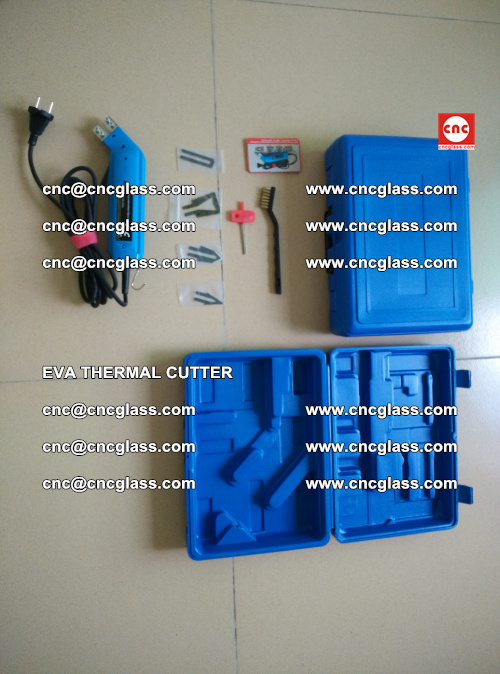 It’s been proved that, our CNCGLASS THERMAL CUTTER can clean the EVA interlayer laminated glass edges very easily and cleanly. 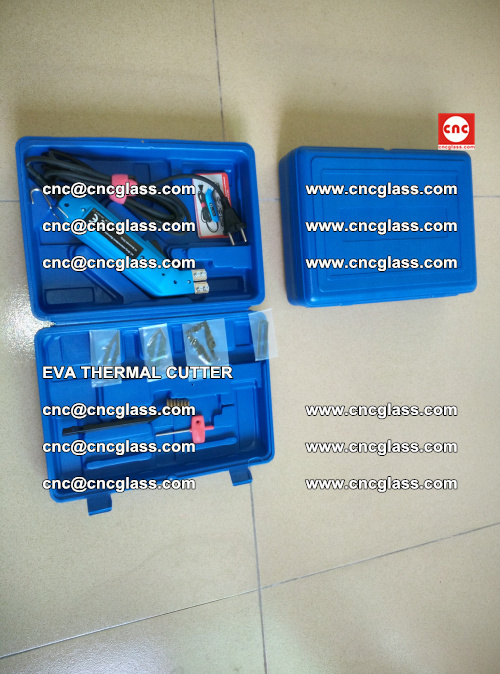 Just had a talk about this yesterday with our production. Indeed, the tool works fine after first tests. 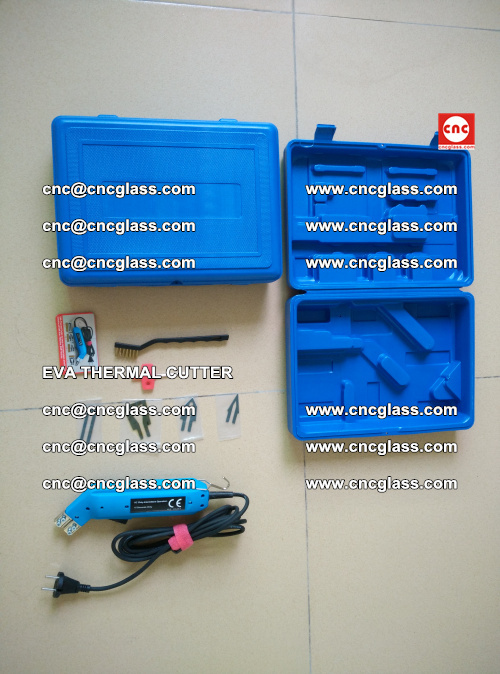 We have prepared some glasses for a current project. 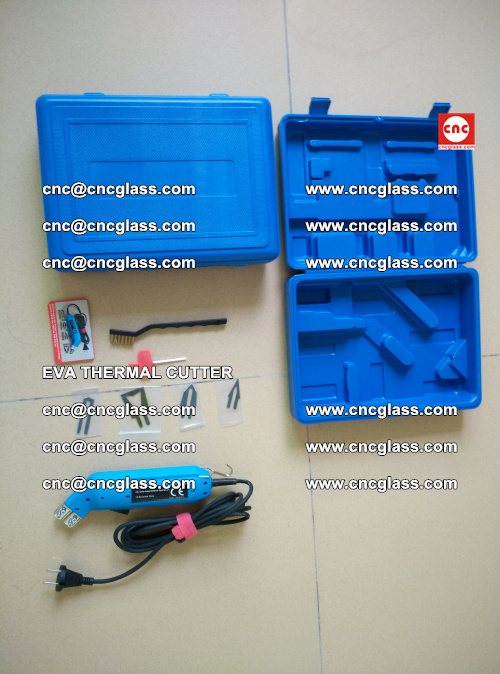 The result we will show to the customer. 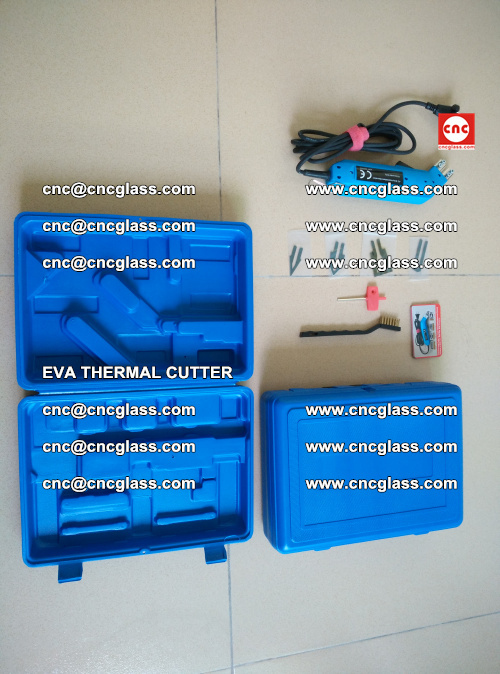 After their feedback, we will decide which cutting blades we will order in addition. 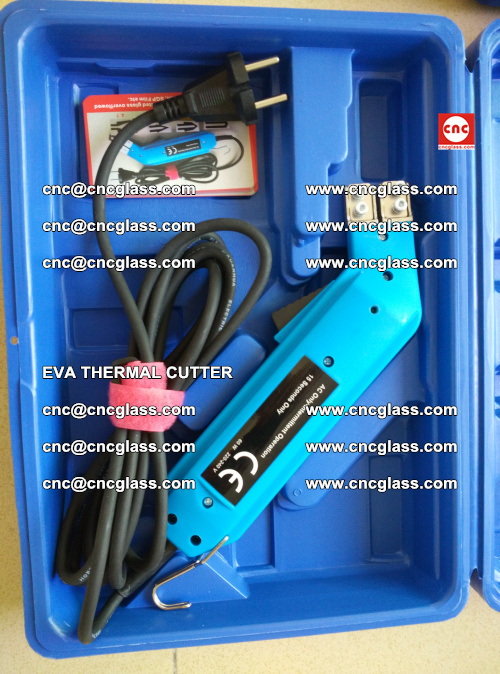 We have used the thermal cutter now since end of august. As we are quite satisfied of the tool, we would like still to order 2 extra tools. Could you please also send us a new quotation for this? 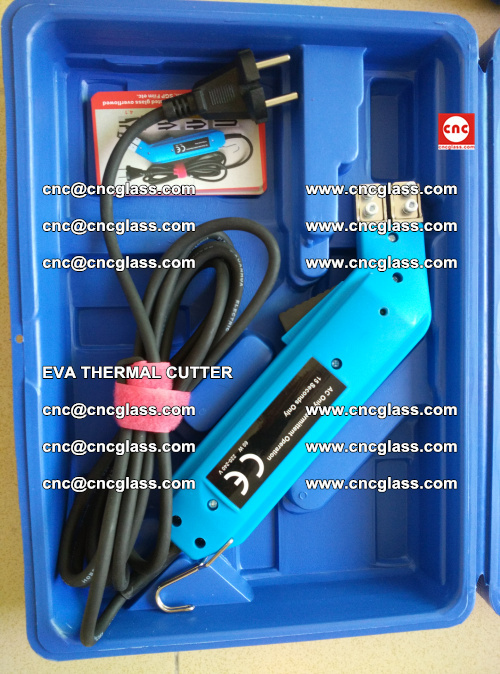 As I mentioned, we like the tool very much. 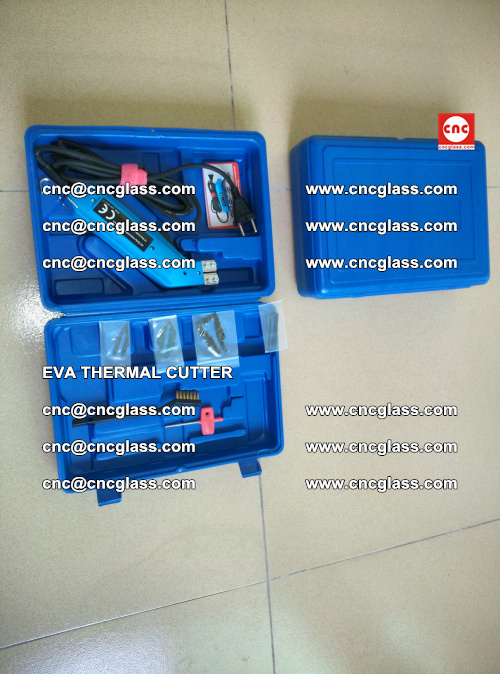 we would order 2 new ones. 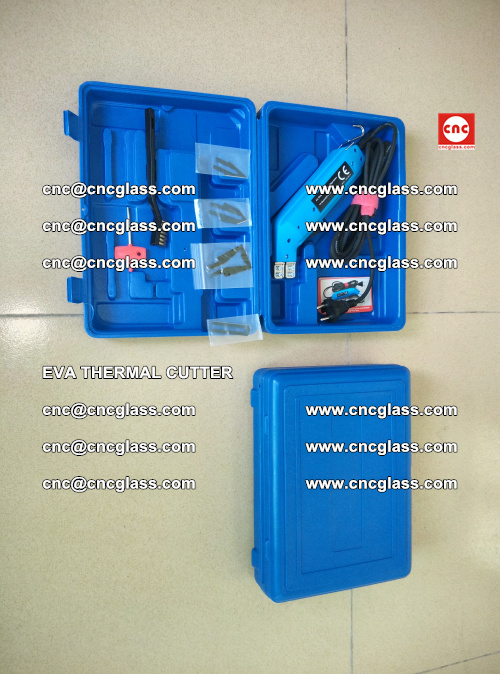 Indeed,the CNCGLASS THERMAL CUTTER can be used to clean the SGP (SENTRYGLAS PLU) laminated glass tools. Because, The blade of the Thermal Cutter can be up to 500℃ in seconds. 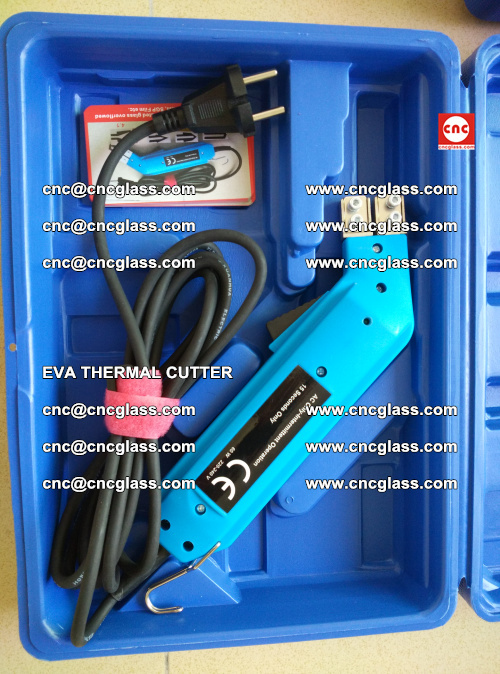 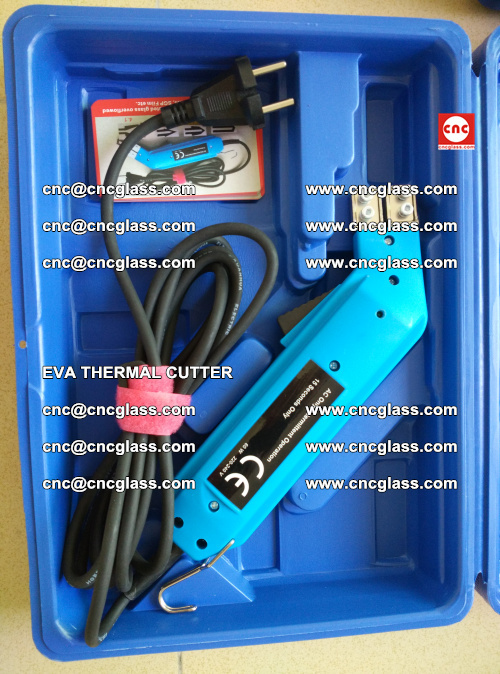 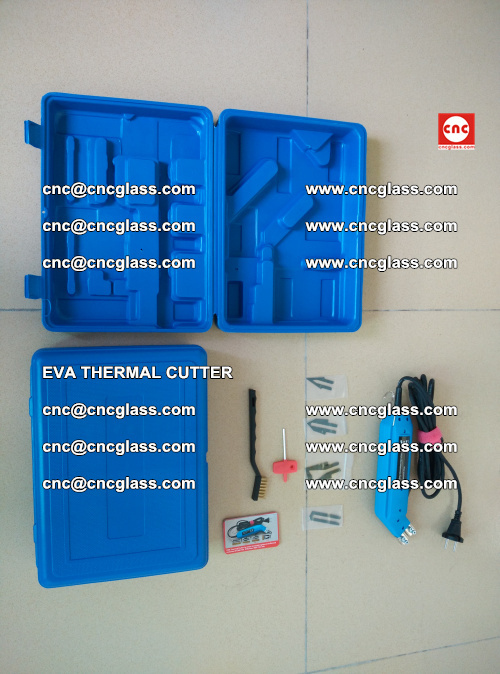 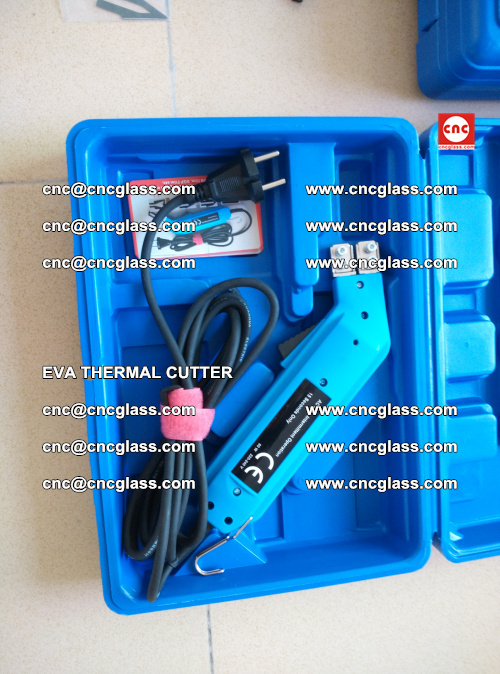 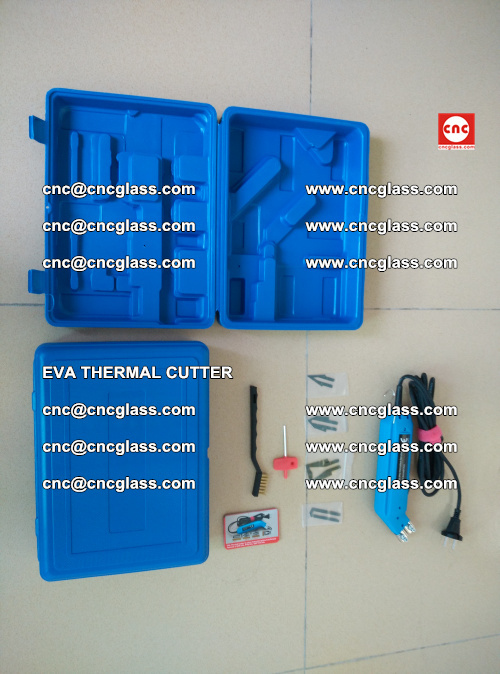 The CNCGLASS Thermal Cutter is trimming the overflowed interlayer remains NOT by strength or sharp, but by Ultra High Temperature Heat: 500℃. 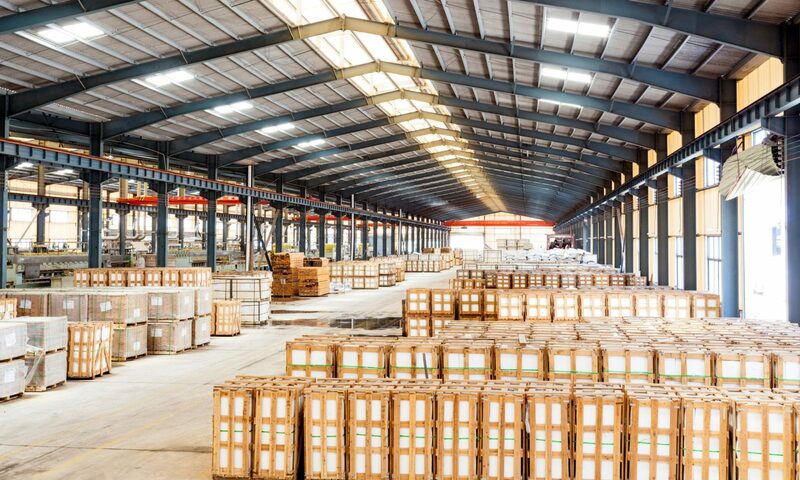 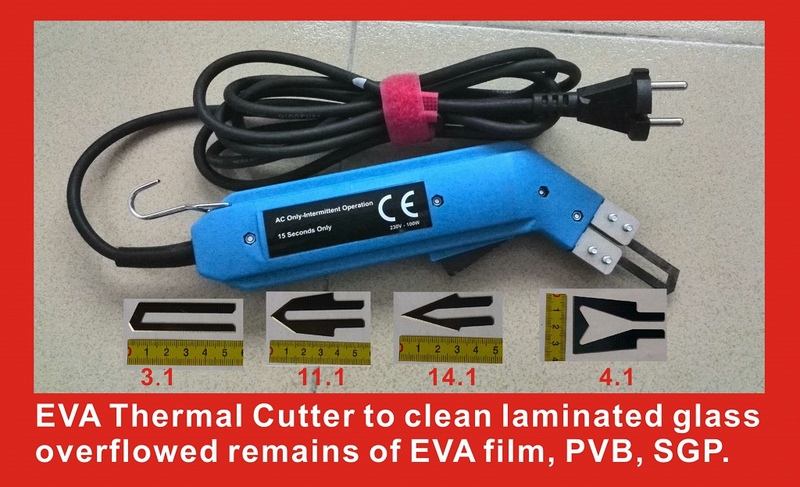 So no matter whether the interlayer film is EVA INTERLAYER FILM, PVB INTERLAYER, or SGP INTERLAYER, the Thermal Cutter can do good cleaning job at all situations. 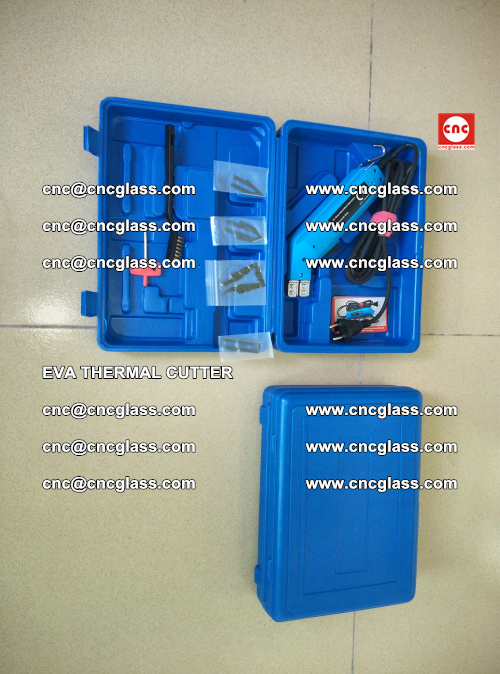 to clean laminated glass edges overflowed remains of EVA, PVB, SGP etc. 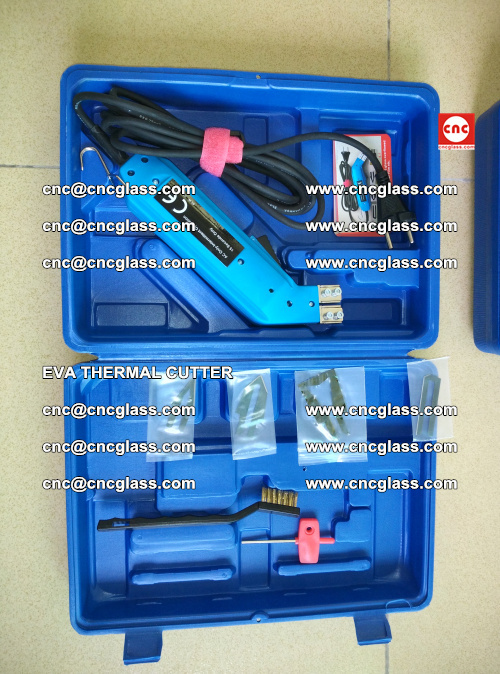 Sorry about the delay in getting this info to you, the thermal cutters are working very well, we are very happy with them. 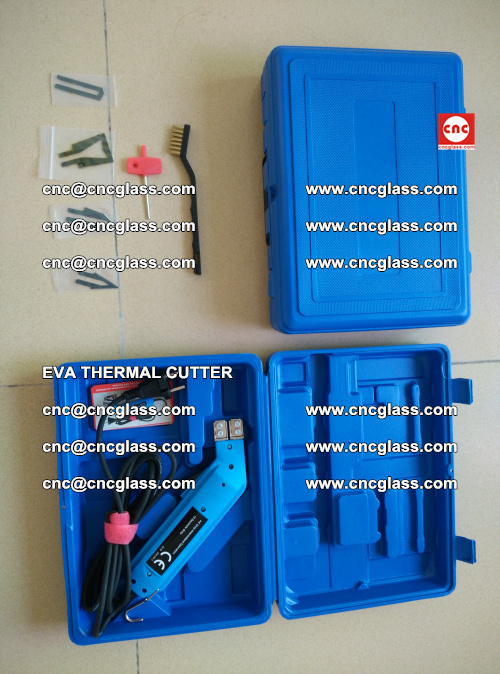 I am sure we will be ordering more from you over the coming year so thank you for all your help on this matter. 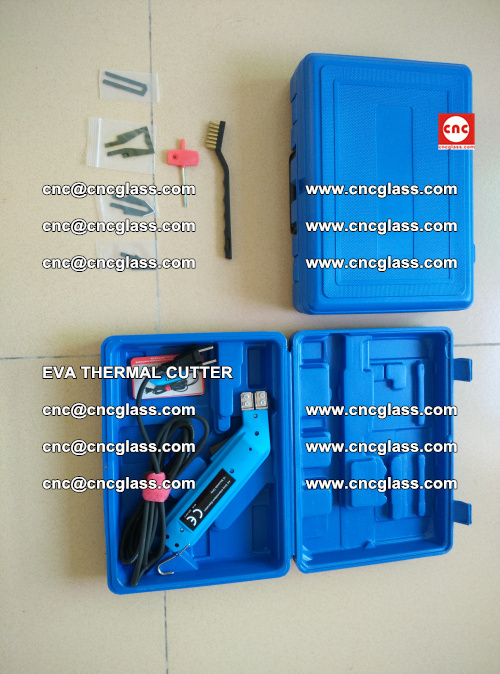 Regards Be in touch soon. 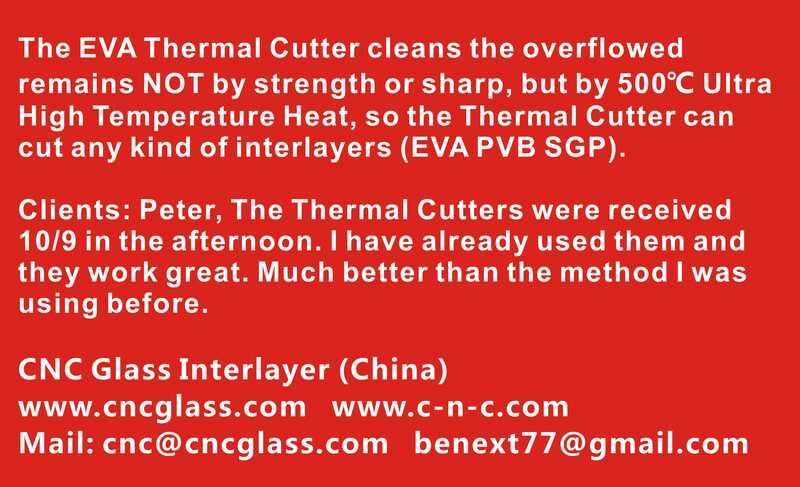 Comment: Peter, The Thermal Cutters were received 10/9, in the afternoon. I have already used them and they work great. 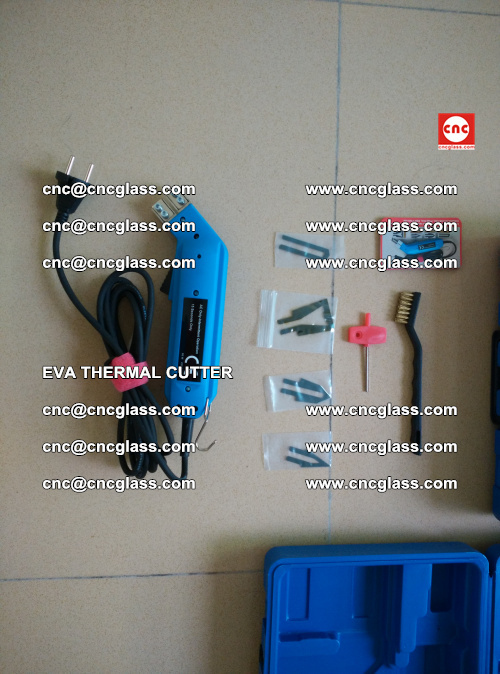 Much better than the method I was using before. Comment: Dear Olivia, My people are very happy with the cutting tool. Comment: Peter, Yes, we received the cutters. We have already been using them and they work very nicely.Thank you for your help. 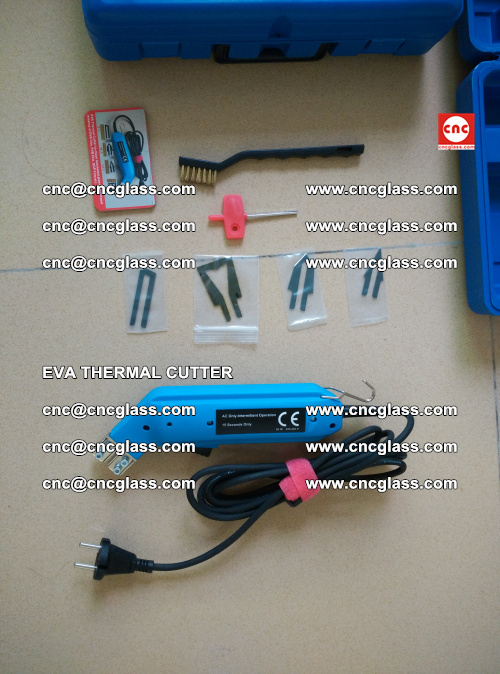 Comment: Dear Olivia, We have good result with EVA thermal cutter, my colleague will contact you to place new order. Comment: Peter, the cutter works good on small pieces of SGP laminated glass.